My children really love listening to music. Every kind of music. It’s rare for a day to pass without music in our home. Music that helps kids learn about manners and appropriate behaviour is a great idea! 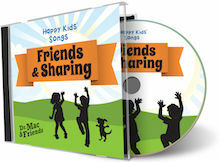 Happy Kids Songs are a collection of 40 songs compiled into 8 themed albums of 5 songs each. My children have been listening to 3 Happy Kids Songs albums since the start of the summer and have been enjoying them almost daily! The three song sets we’ve been listening to are: Friends and Sharing, Happiness and Attitude, as well as Manners and Character. We’ve also had the pleasure of using the Happy Kids Songs Workbook: Hands-on Activities to Build Character, Social and Emotional Skills, which is a fantastic companion to the songs. Each Happy Kids Song tells a story and has an important lesson within it. They are told in easy to understand language, and as you will have the lyrics there won’t be any funny mix-ups with what is being sung. I’ve chosen the kids’ favourite song track from each album to give you an example. “Sailing on the Seven Cs” is a fun song about friendship. You are sailing on the good ship, Friendship and there are 7 Cs. Each C represents an ingredient of friendship: caring, consideration, commitment, communication, concern, curiosity, and cooperation. “Who Knows What’s a Kudo?” is about giving compliments, encouragement, and letting others know what you like about them. “Quirks” helps kids learn that everyone is different and you should be understanding about differences. I t doesn’t matter if you have a bad haircut, your socks don’t match, or if you’re not physically able to do something. Everyone should be valued. How Do We Use Happy Kids Songs? 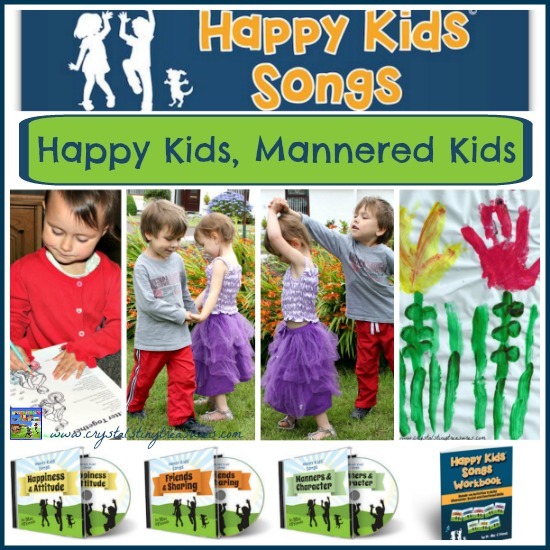 We’ve used the Happy Kids Songs as a distraction for the children when one isn’t in a very good mood, or if they are disagreeing with each other. They’ve also been known on more than one occasion to request themselves at these times. “Kallista isn’t in a very good mood, you should play ‘Happiness and Attitude’ for her!” These moments always bring a smile to everyone’s face and lightens the atmosphere. Kallista’s favourite song is, “Who Knows What’s a Kudo?” She thinks it’s the funniest one of all and will sing it to herself a few times throughout the day. All of the song sheets and printable activities are available to download free from the website. 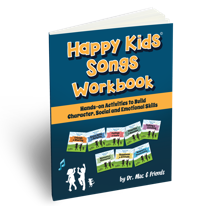 However, you can order the Happy Kids Songs Workbook: Hands-on Activities to Build Character, Social and Emotional Skills that has everything in it, all in one place at your fingertips. 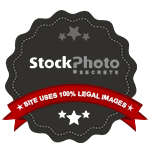 For me, this is what works the best. 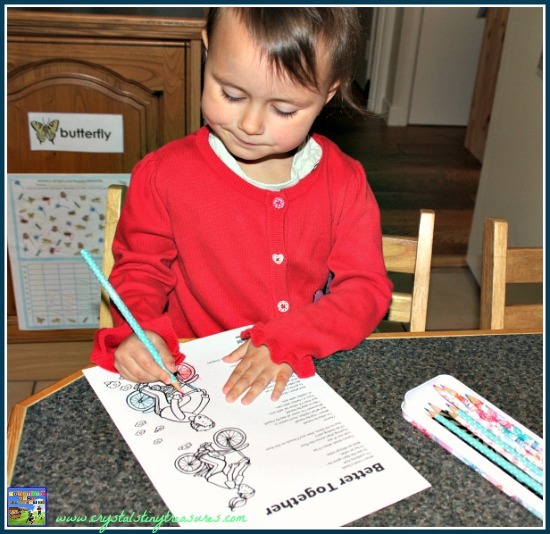 For each song there are the lyrics and a picture to colour, as well as additional activities that can be done. Some examples are word searches, mazes, finish the picture, etc. At the end of the Happy Kids Songs Workbook there are an additional 36 pages of further activities that can be done based on the themes and songs of the albums. 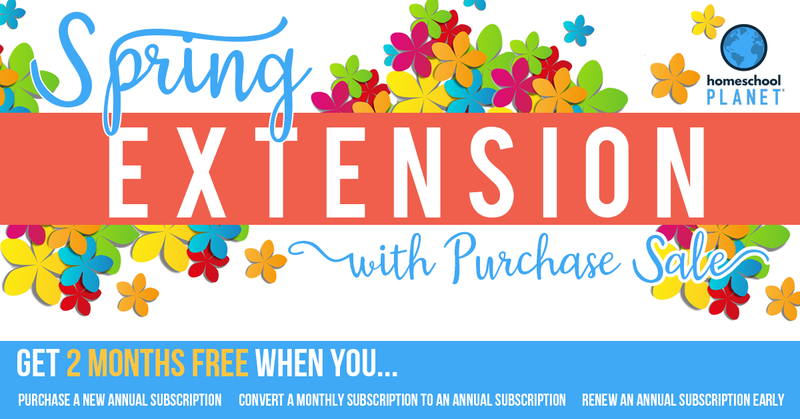 Crafts, journaling, and community service ideas are all things you will find here. This book would be the ideal resource for anyone who childminds, babysits, works in a daycare, nursery, or with early elementary aged children. 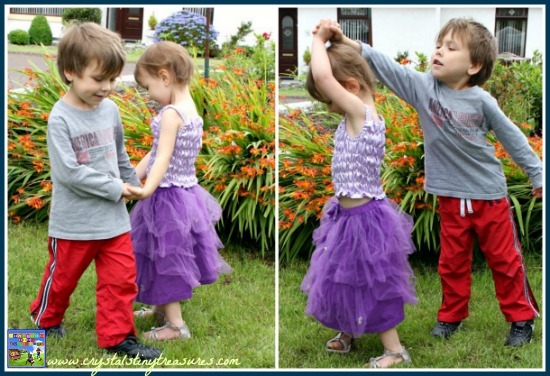 You won’t run short of fun ideas for kids here! My children made the “Hands of Friendship” and gave the pictures to a lovely neighbour of ours who has had a bit of a rough time recently. They also made a second set that we will be sending to family overseas later this week. They really enjoyed making the artwork and put a lot of effort into it: choosing special colours that they thought the recipients would like. 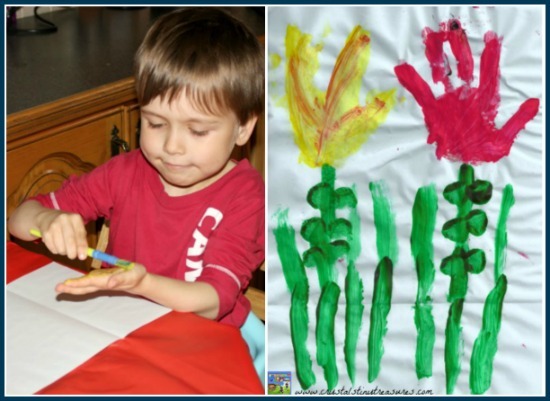 The children have also done several other activities from the workbook. There’s a nice mix of easy and more challenging activities so that there’s something for every child to do. 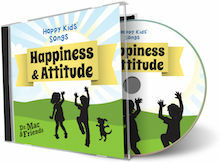 The Happy Kids Songs are all downloadable MP3s for the price of $0.99 each, so an entire album will cost $4.95. I like that you could start off with one song and build your collection over time so as to always keep things fresh. The Happy Kids Songs Workbook: Hands-on Activities to Build Character, Social & Emotional Skills is available for $12.56. The combination of Happy Kinds Songs and the Workbook is fantastic. You can use either on their own, but they flow together well. I’d recommend Happy Kids Songs to parents or educators who are looking for fun new ways to gently teach kids about manners, respect, differences and other important attributes. To read more reviews about Happy Kids Songs by the Schoolhouse Crew, click on the graphic below and follow the instructions, you will find 100 honest reviews by the Crew. 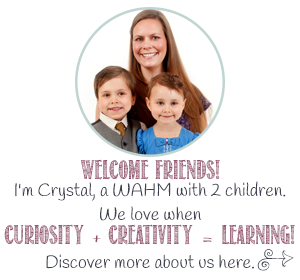 If you’d like to know more or would like to follow Happy Kids Songs, you can connect with them through their website, Facebook, Twitter, and YouTube. 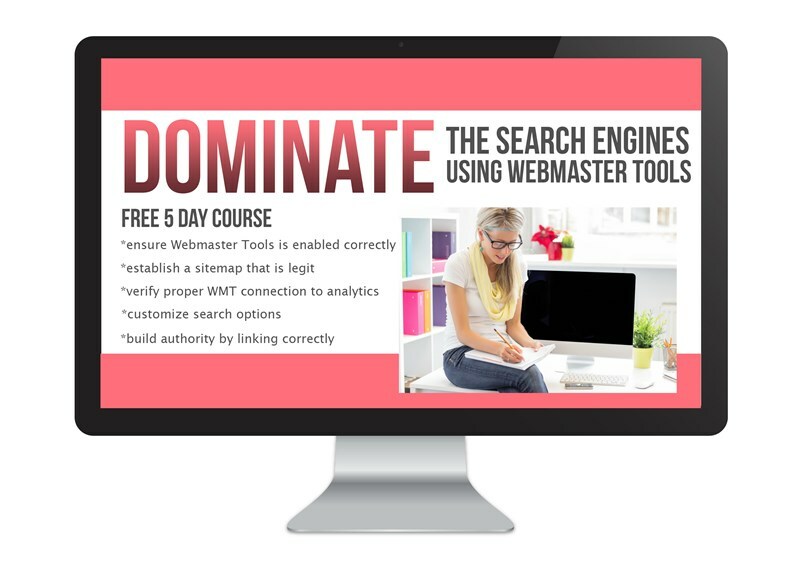 This sounds like a lovely and helpful program! Pinned! Thank you, Crystal. I love fun resources that teach children goo manners and lessons when they don’t even realise they’re learning something important.